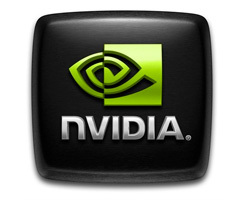 On this page you can download NVIDIA GeForce 285.62 WHQL 32-bit. The new GeForce 285.62 WHQL drivers are now available to download. Recommended for Battlefield 3, Batman: Arkham City and Rage, these drivers bundle together all the enhancements and updates contained within the 285.27 and 285.38 beta releases, in addition to new SLI and 3D Vision profiles for many of today’s most popular games. Discuss drivers here in our forums. For Battlefield 3 we’ve improved performance by up to 11% since the release of the GeForce 285.38 beta drivers, have included several compatibility enhancements, a new and improved SLI profile, and a 3D Vision profile. Similarly, Rage has received enhancements since the release of the same drivers, and Batman: Arkham City compatibility has been implemented. As mentioned, updates contained within the earlier beta drivers have been carried over, such as the many performance improvements made to games --between the release of the 280.26 WHQL drivers and today’s 285.62 WHQL drivers-- when running on our entire range of 500-Series graphics cards. And 5% in Mafia 2. And 5% in StarCraft II. And 4% in Mafia 2. Users of the R285 beta drivers will be pleased to hear that we’ve fixed the reported driver timeouts, and World of WarCraft users will be especially pleased to hear that flickering experienced upon death on a SLI system has been rectified. On Optimus notebooks, a Halo 2 crash has been rectified, as has an audio error that occurred when switching between 1080p and 480p resolutions. Have you read out Palit GeForce GTX 560 Ti Twin light LE review already ? Note: If you have problems downloading NVIDIA GeForce 285.62 WHQL 32-bit, please try to stop using your download manager and avoid right clicking on files. Also, check your firewall settings, because some mirrors may require that you do not block the HTTP referrers.